Winter is the perfect time time to visit Amsterdam. This time of year you have the city almost for yourself as the bunch of tourists hasn't arrived yet. 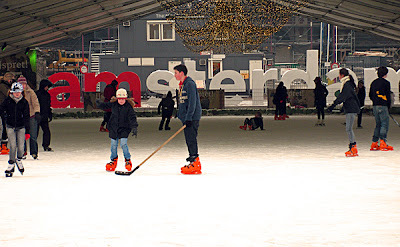 An Amsterdam winter break also means that you can save money because airfares and hotel rates are at their lowest. The queues at popular museums like Van Gogh Museum and Anne Frank House are at their shortest. Great time to visit Amsterdam indeed. The low temperatures with the sun makes the city shine like a golden village. Found a great stay through Amsterdam Apartments worth to check it out, well happy travels wished!